Last month, we successfully hosted our first conference in the newly launched La Rochelle Conference Centre. The orchid biome is fully complete and is definitely worth a visit. The gardens are looking good now that we have had some rain and our nursery is just about complete and ready to sell. We’d also like to share with you what’s happening at La Rochelle in March and April 2016. For more information on the below, please contact us. 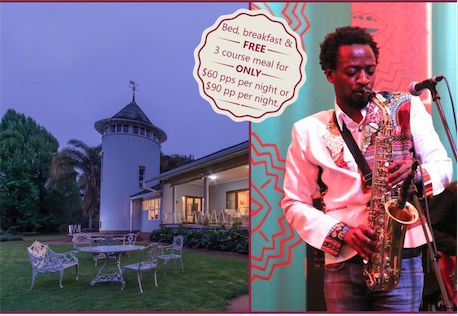 With well known Saxophonist, Vee Mukarati. 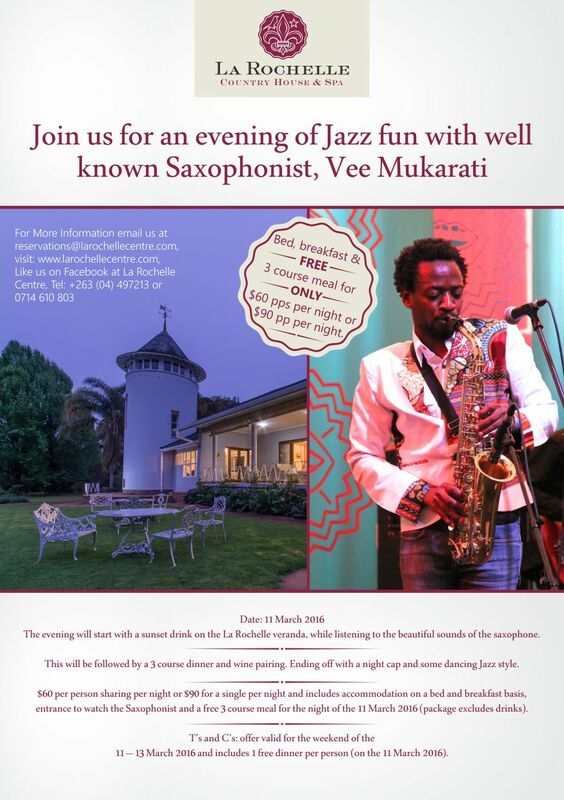 The evening will start with a drink on the La Rochelle veranda, while listening to the beautiful sounds of the saxophone. This will be followed by a 3 course dinner and wine pairing. Ending off with a night cap and some dancing, Jazz style. 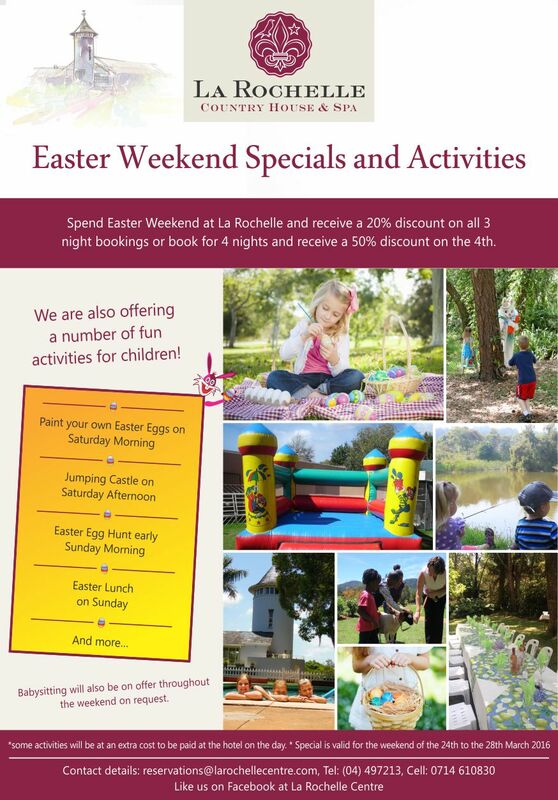 Spend Easter Weekend at La Rochelle and receive a 20% discount on all 3 night bookings or book for 4 nights and receive a 50% discount on the 4th. 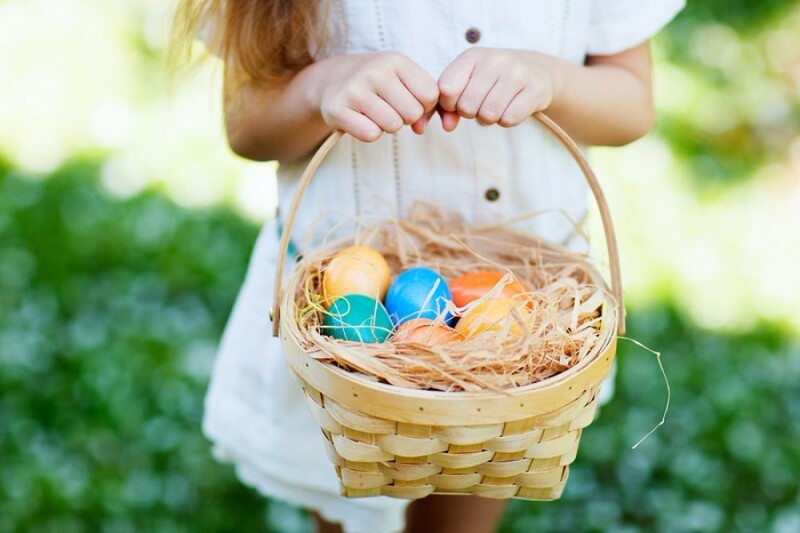 We are also offering a number of fun activities for children: paint your own Easter eggs, jumping castle, Easter egg hunt, Easter lunch…Click here to find out more. Conferences booked for 2 days or more, get up to 50% off. 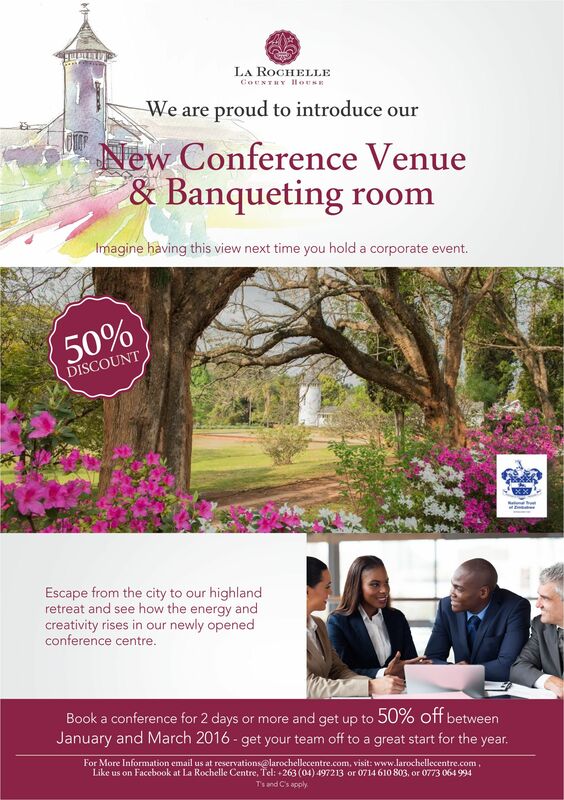 Escape from the city to our highland retreat and see how the energy and creativity rises in our newly opened conference centre. Presented by Realise Africa and La Rochelle. 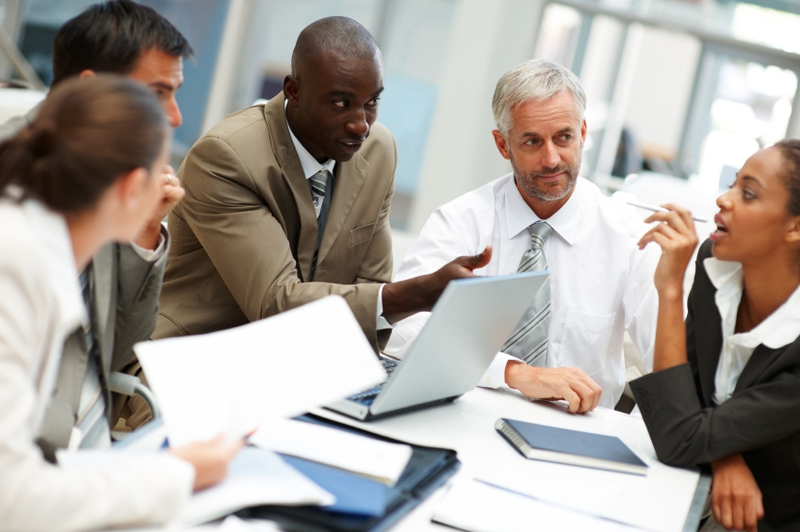 This 3-day Managing Business Today Simulation is an imitation of a real-life business situation, where participants get first hand experience on how to run their own business. 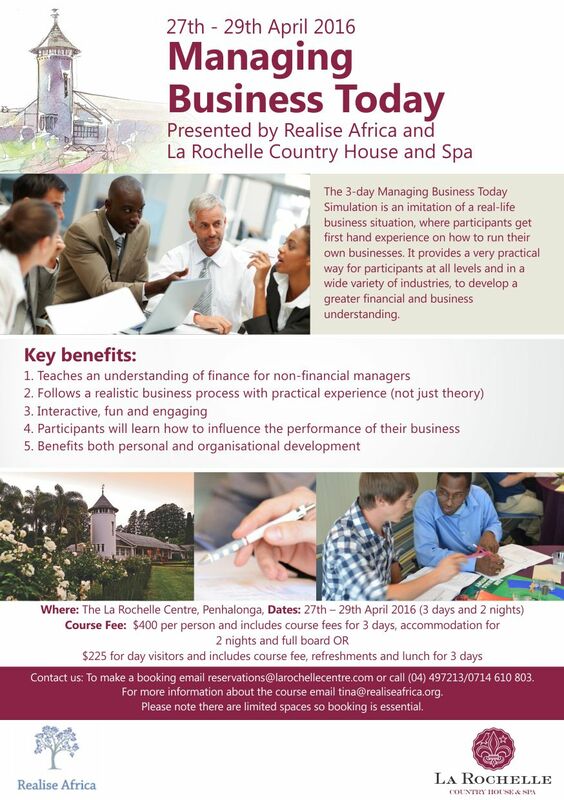 It provides a very practical way for participants at all levels and in a wide variety of industries, to develop a greater financial and business understanding. Click hereto find out more. 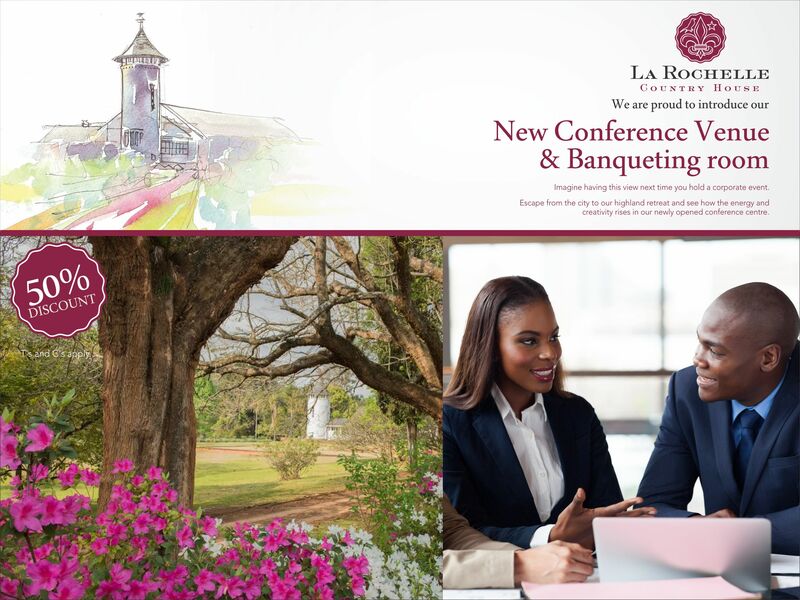 We hope to see you soon at La Rochelle Country House and Spa and once again, we would very much welcome any suggestions, contacts, internships, contributions which might help us achieve our vision.